One young Florida girl has already accomplished what some aspire to do in a lifetime. 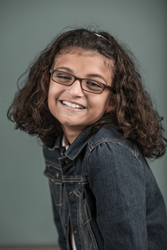 Paloma Rambana is a 12-year-old lobbyist, advocate and author from Tallahassee who has just released a memoir detailing how she successfully lobbied the Florida Legislature to help secure more than $1 million in funds for blind and visually impaired kids. By sharing my story, I hope to encourage others to be makers of change. I hope readers will get a better understanding of me and how I tick. There are thousands of motivational books out there that will inspire and move you — but few are from the mind and heart of a 12-year-old. Paloma Rambana, a seventh grader from Tallahassee, Fla., is redefining what it means to be a young person, a lobbyist, an advocate and, now, a published author. Her new book, “Paloma’s Dream: The True Story of One Girl’s Mission to Help Kids, Inspire Activism and Survive Middle School,” details how she successfully lobbied the Florida Legislature to help secure $1.25 million in funds for blind and visually impaired kids. Born with a rare eye condition called Peters Anomaly, Paloma became the “Little Lobbyist” who made a big difference. In “Paloma’s Dream,” Paloma tells her story with spirit, humor and heart in a memoir that is sure to inspire kindness and activism in people of all ages. “By sharing my story, I hope to encourage others to be makers of change. I hope readers will get a better understanding of me and how I tick,” said Paloma. In 2015, Paloma launched an advocacy campaign called “Fund the Gap” after realizing that blind and visually impaired kids between the ages of six and 13 don’t receive state aid for equipment or mobility training outside of school (such as magnifiers or lessons in Braille), regardless of financial need. As part this campaign, Paloma has met with dozens of state lawmakers, Florida's governor and congressional leaders; led two marches on Florida’s Capitol; and has spoken publicly to groups across the U.S.
Paloma was named a 2018 Health Hero by O, The Oprah Magazine, and has been called “a model of the American spirit” by President Donald Trump and “one of tomorrow’s leaders” by former President Barack Obama. She also was named one of America’s Top 10 Youth Volunteers of 2018 by Prudential Financial. 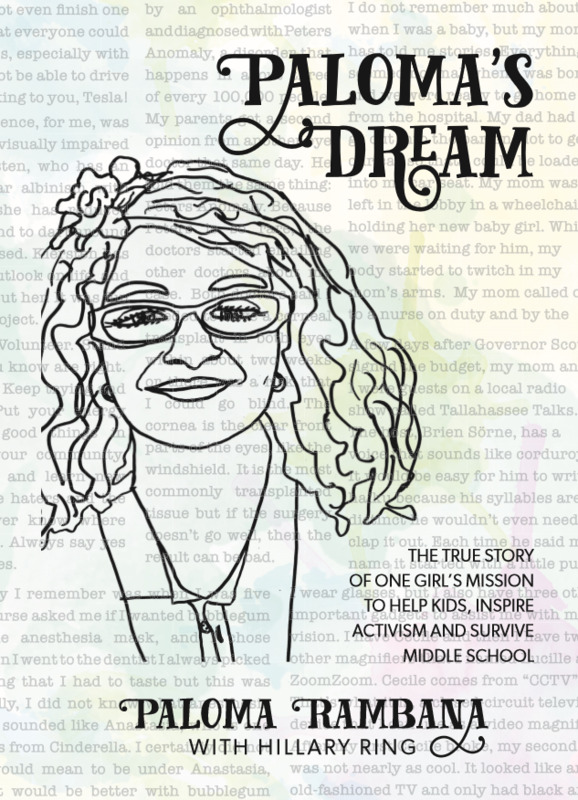 “Paloma’s Dream: The True Story of One Girl’s Mission to Help Kids, Inspire Activism and Survive Middle School” is $12.99 and available at http://www.palomasdream.org. The front cover of “Paloma’s Dream"